Hi! 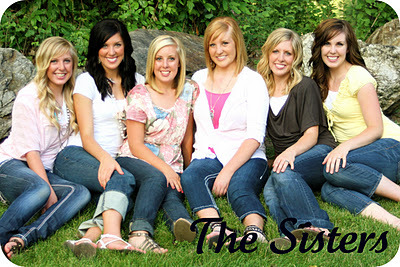 We are the sisters from Six Sisters’ Stuff and we are so excited to be here on U Create today! We grew up in a family of six girls . . . no boys. Seriously, what are the odds of that happening? Growing up we might have had our share of petty fights over clothes, make-up, and even boys . . . but now we are the best of friends and this blog is just one more way for all of use to stay in touch. Come check out Six Sisters’ Stuff for easy recipes, crafts, and ideas! 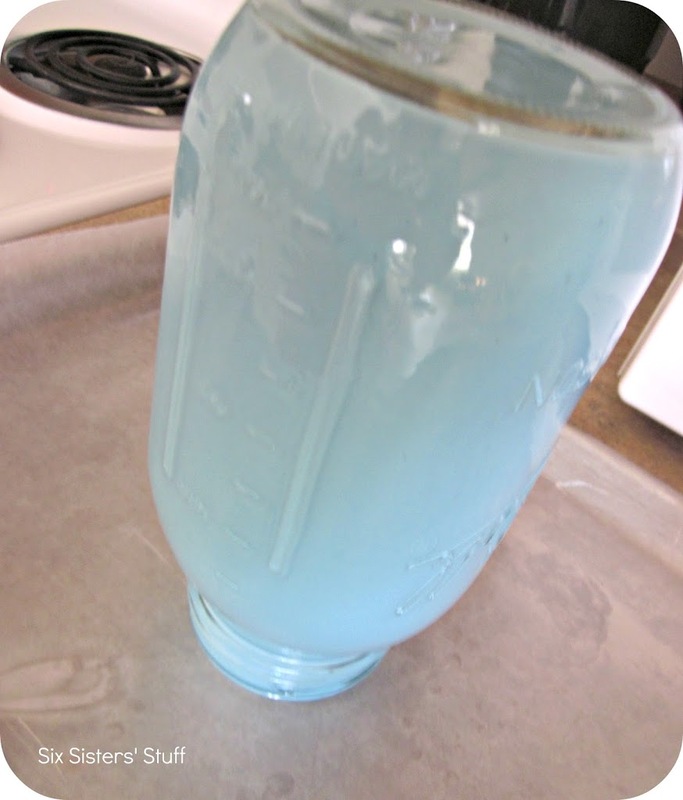 I have seen mason jars with this bluish tint all over the internet. The only problem is, I can’t seem to find them in stores! I decided to take matters into my own hands and dye them myself. Before you begin, preheat your oven to 200° F.
Step 1: Mix 2 tablespoons of water and 4 tablespoons of Mod Podge together on your paper plate. 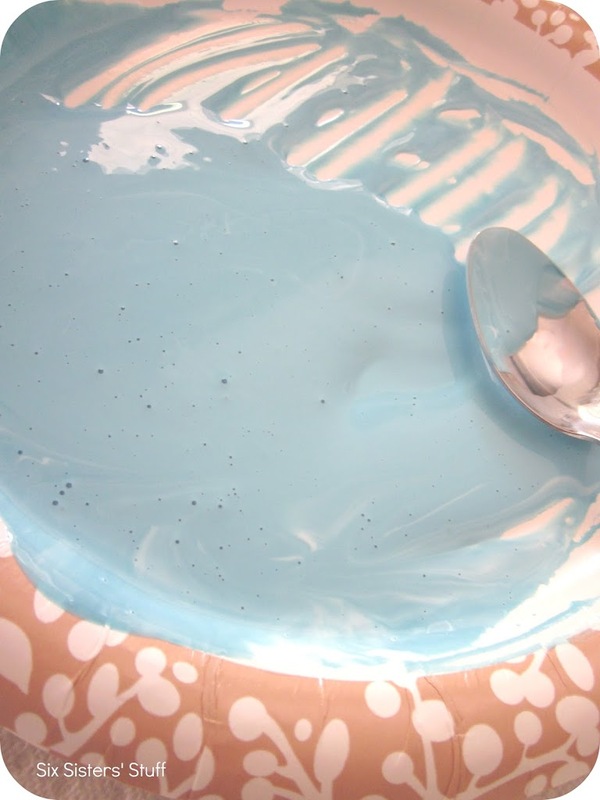 Next, add as many drops of food coloring you want until you reach your desired shade (I used 5 drops of blue food coloring for mine). 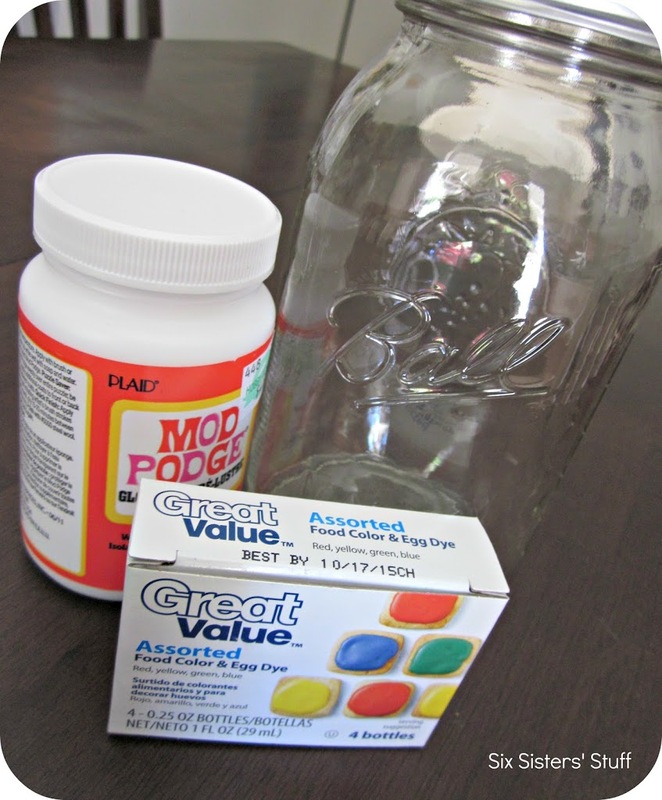 Step 2: Pour all of the water and Mod Podge mixture into your mason jar. Move your jar around making sure to coat the whole inside of the jar. 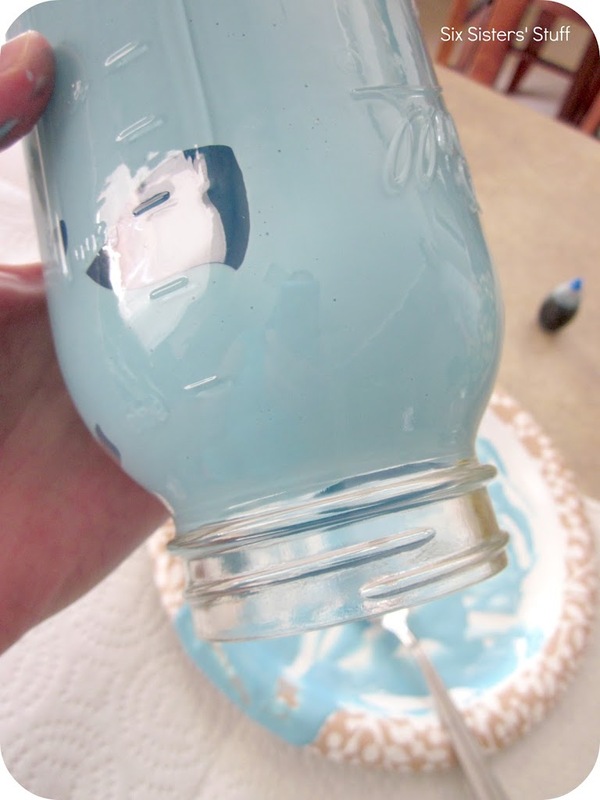 Step 3: Pour all of the water and Mod Podge mixture out of your jar, making sure to coat the mouth of the jar. Wipe the outside edge of your jar for any excess mixture on the outside. 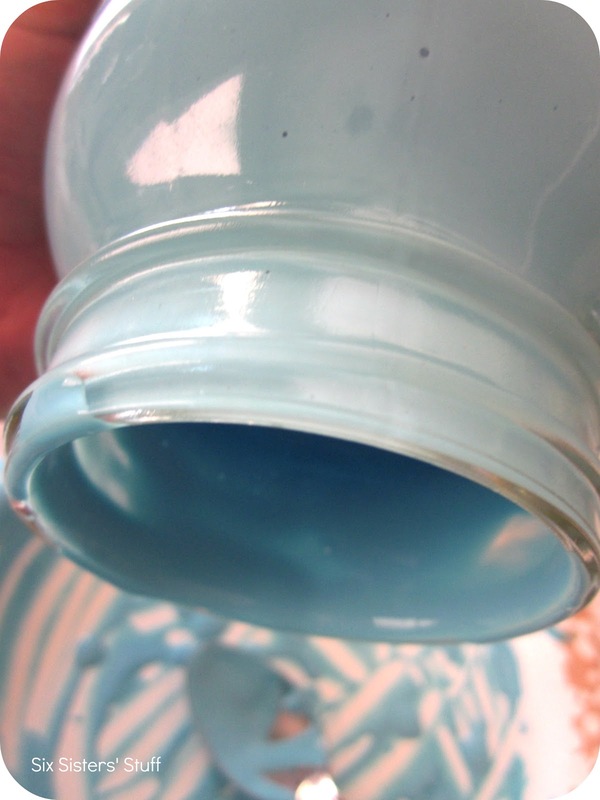 Be sure to only have a thin layer on the inside of your jar, otherwise, it won’t have an even color in the end. Step 4: Place the jar upside down on a cookie sheet lined with waxed paper. Put it in the oven for three minutes. Step 5: Remove the baking sheet from the oven and turn the jar upright. Wipe rim carefully with a paper towel to remove excess water and Mod Podge mixture, then return the jar (upright) to the oven. Bake until the color is clear and beautiful, about 30-40 minutes. 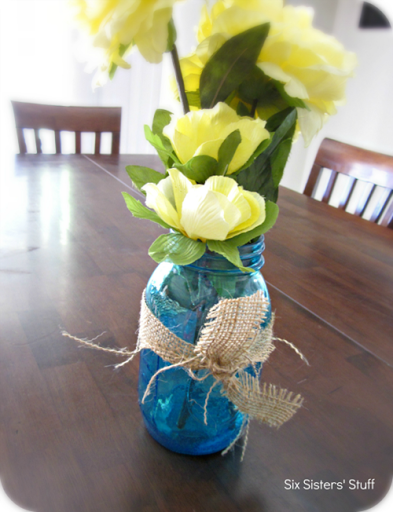 Add a ribbon or flowers to your jar for some extra flair! Thank you so much for reading! We would love to have you stop by Six Sisters’ Stuff! There is always room for one more sister! Wow! It’s an amazing change for a bottle that probably will be recicled… mmm… I think I’ll try for put some candles at the garden. I scored some at the thrift store yesterday for 25 cents each…super inexpensive, too! 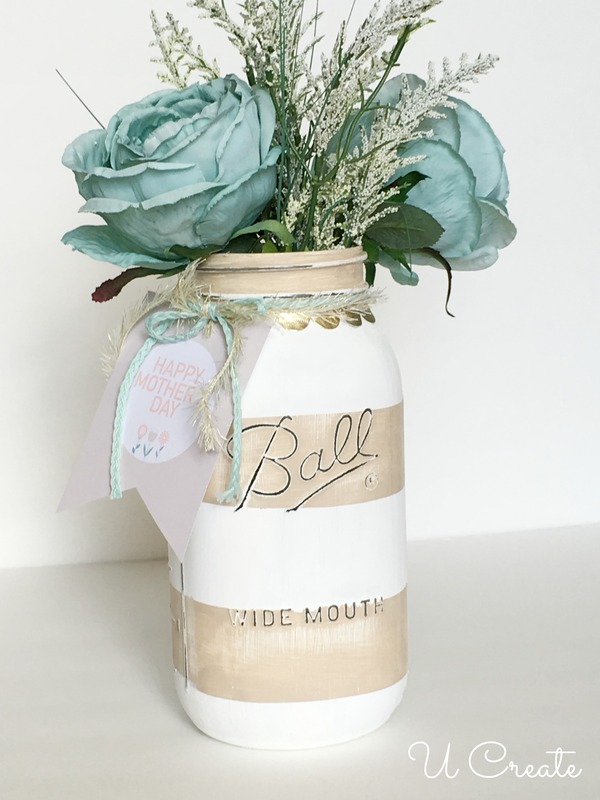 Can you put water in the jar to hold fresh flowers? I sealed mine with indoor polyurethane..I let it sit for 2 days.. so today I’m going to see if this sealed it to make it water proof! You can purchase Dishwasher safe Mod Podge online and in some craft stores. I haven’t used it myself, but if it’s safe for the dishwasher, then I assume it would allow you to hold water. Can you use the yellow mod podge for this? I have some of that so I thought I would check. Maybe you could paint the mod podge on the outside and it would work so that you could put water in it? I’m going to try a small Starbucks mocha frappicino bottle down inside the mason jar. Then it can be filled with water for fresh flowers. I’m also going to put a battery operated candle in one of the mason jars and decorate ( or alter) with ribbons, lace and pictures of Paris. I LOVE THIS! I am going to have to “Pin” it and try it! Oh how clever and easy. Thanks for sharing! Love these! Thanks so much for sharing this wonderful project, looking forward to trying it! Love…love…love this! I wonder, tho, if the mod podge is food safe? I want to put up some open shelves in my kitchen, and put gal. jars with pastas, flour, sugar, etc. 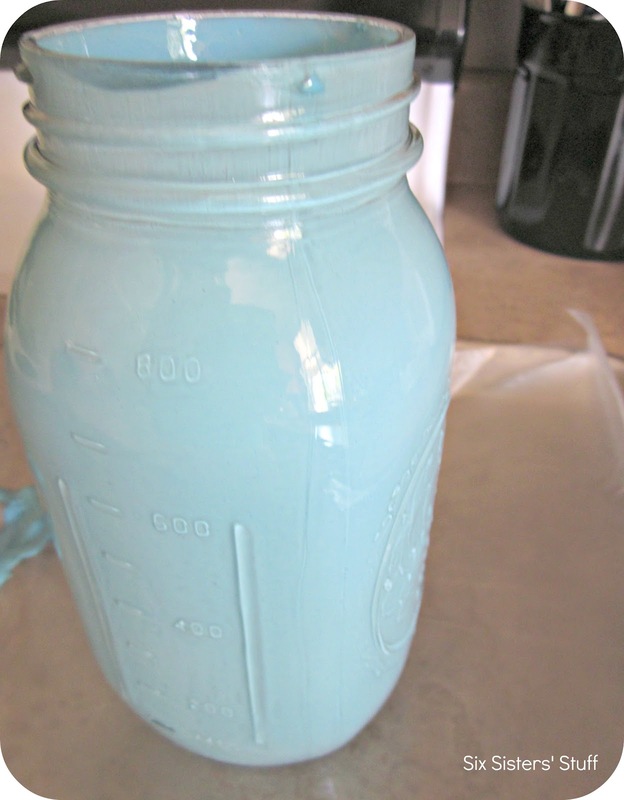 I would really love to be able to put this color in my jars, then display them on my shelves!!! I’m so glad I came across this! 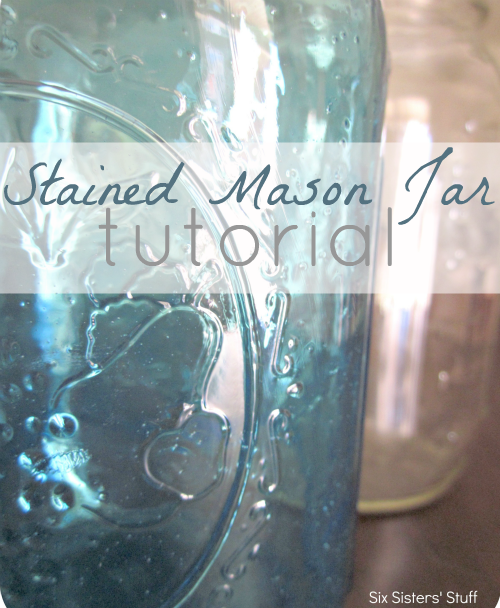 Have you done any other kinds of jars besides canning jars? Thanks! I am going to try this! Correction…I found the colored jars at Michaels Craft store. I just tried the Martha Stewart line of glass paint. I Hear You Can Put Water In It Afterwards. Only thing is the product j’s expensive and you have to use quite a bit to make to spread. 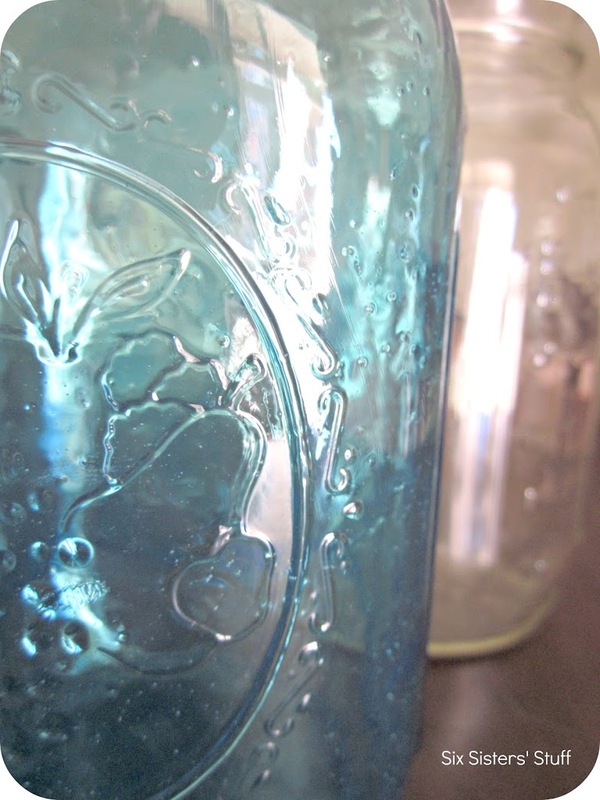 The blue jars are antique jars. You can find them at swap meets,antique stores and sometimes second hand stores. They are really gorgeous and come in all sizes. Worth a few extra bucks to have. Love the modge podge/oven idea for other colors. Thanks! 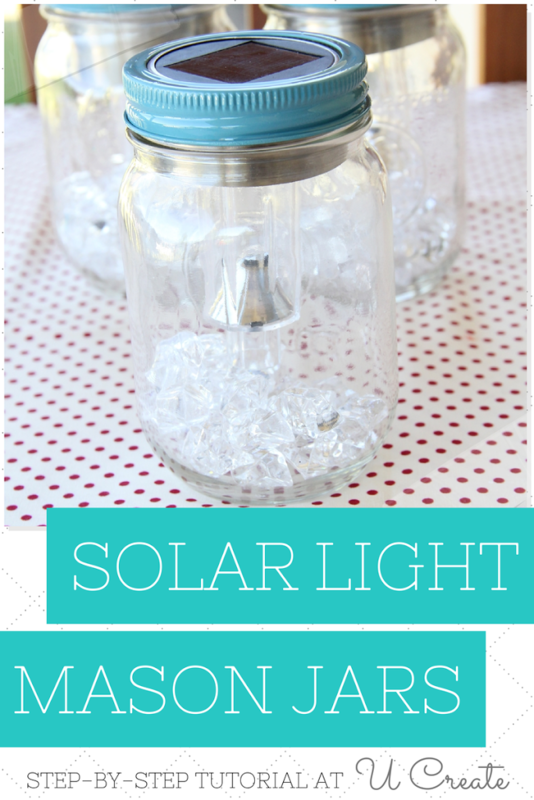 I have a question regarding these tinted mason jars. I have not previously worked with Mod Podge. Once these are finished, does the MP flake easily, or does it stay sturdy? I was thinking about making some to use as flower vases, or containers to hold other things (qtips, cotton balls, toothbrush, etc.). Just not sure how the finish holds up! Thank you! I totally LOVE this. Thank you. I am definitely going to try. I am still quite a novice. Is the color waterproof ? Can u put real flowers in the jar with water?